“Another Part Of Me”, the sixth single released from the 1987 album ‘Bad’, was written and composed by Michael Jackson and co-produced by Quincy Jones and Michael Jackson. The song reached #1 on the R&B charts in the United States upon its release as a single in July of 1988. “Another Part Of Me” made its original debut in the 1986 4-D film ‘Captain EO’ at Disneyland. The song was also featured in Michael’s 1988 film ‘Moonwalker’. 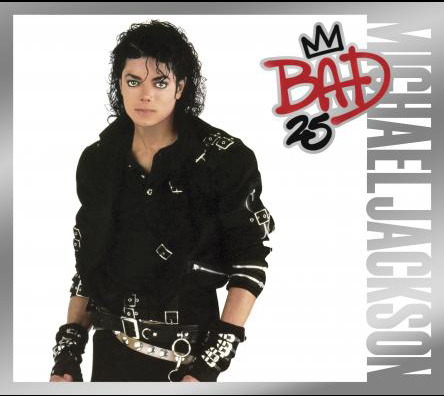 This is one of the first pieces which Michael wrote for the ‘Bad’ album and one of the last to be chosen of the 33 songs (which Michael prepared for inclusion on the record, as he preferred the song “Streetwalker”. “Another Part Of Me” was released as a promo cd single on July 11th, 1988 on Epic Records. The promo CD single includes the “Single Mix” (3:47), “Extended Dance Mix” (6:18), “Radio Edit” (4:24), “Dub Mix” (3:51), and the “A Cappella Mix” (4:01). “Another Part Of Me” was released as a 7″ single on July 11th, 1988 on Epic Records. The 7″ single includes the “Single Mix” (3:47) on the ‘A’-side, and the “Instrumental Mix” (3:46) on the ‘B’-side. “Another Part Of Me” was released as a 12″ single on July 11th, 1988 on Epic Records. The 12″ single includes the “Extended Dance Mix” (6:18), “Radio Edit” (4:24); and on the ‘B’-side: “Dub Mix” (3:51), and the “A Cappella Mix” (4:01). “Another Part Of Me” - written and composed by Michael Jackson. John Barnes, Rhett Lawrence: Synthesizers. Rhythm and vocal arrangements by Michael Jackson and John Barnes.